Our authors are typically experienced writers who want to participate in the marketing of their book. Contact us for your next project. Is it possible to be good and be good for business? New York Times syndicated columnist and professor Jeffrey Seglin shows that making responsible business decisions requires the ability to examine their impact from three important aspects: money, people and the common good. This is a wrenching first person account of the invasion of Okinawa and the repatriation of the Japanese from Korea. Roland Glenn fought in hand-to-hand combat in Okinawa, an experience he recounts in graphic detail. Will you do the Right Thing when confronted with your next difficult decision? Will a clear conscience make you richer? Maybe not, but the leaders of companies like Enron, Tyco and others found that bad behavior can bankrupt you. This definitive new history of America's oldest yacht club and one of the world's best known clubs covers the Club from its founding in the cabin of a small sloop in 1844 through the America's Cup years - the longest winning streak in history - before the cup was finally lost in 1983. 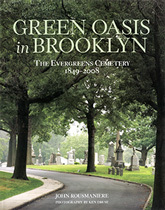 Noted historian John Rousmaniere traces the history of the Evergreens Cemetery in Brooklyn, New York. Beginning with the land itself before the cemetery was founded in 1850, his engaging text tells how the forces that shaped the history of New York—population growth, immigration and increasing wealth—also shaped the Evergreens. Harbor Ice is the first is a series of mysteries by New Hampshire author K.D. Mason. Though based on the beautiful coast of New Hampshire, these page turners take us worldwide in search of clues. Harbor Ice takes us on a suspenseful ride from Rye, New Hampshire, to Switzerland to Taos, New Mexico--with plenty of romance along the way.